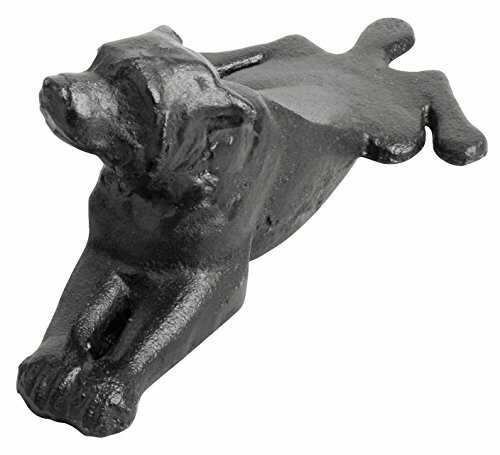 Heavy cast iron door stop in Dog design a cute way to hold your door open. Perfect for Placement on walls indoor or outdoor. 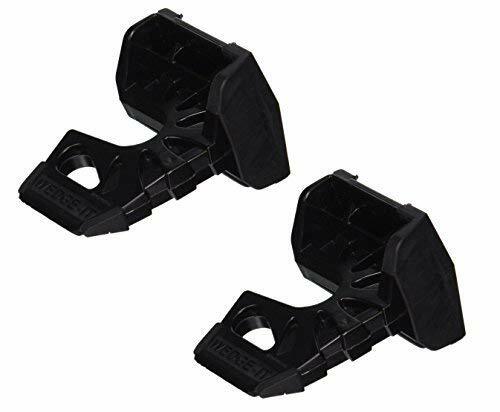 Wedge-It was designed by a Fireman to hold self-closing doors open during a fire or emergency. It is also used today by Police, Bomb Squads S.W.A. T, Fire Departments, Ambulance Personnel, Moving & Delivery, Hotel Bellhops and Housekeeping. One big advantage of teh Wedge-It over a standard door wedge is that the door can swing further open, but will always stay open 90 degrees when the door swings back. A standard door wedge gets in the way and is either kicked away or does not hold the door when the door swings back. The Wedge-It will work from any of 3 different locations on the door - TOP, OVER THE HINGE or ON THE FLOOR. 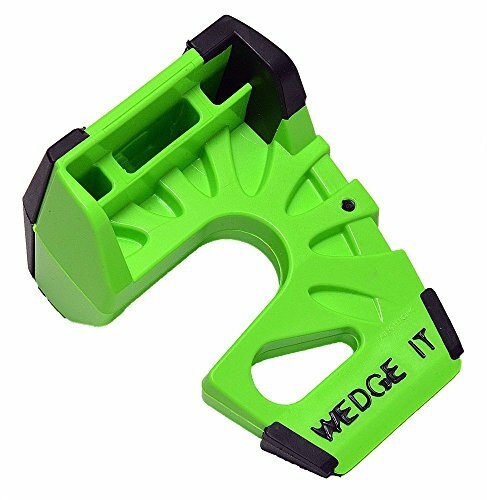 The Wedge-It Ultimate Door Stop is the worlds most versatile, portable, temporary, light weight door stop. It was designed by Emergency Service Personnel to hold doors open to a 90 degree angle from any of 3 different locations. Because of its convenience and ease of use, it has been adopted by other trades and professions. 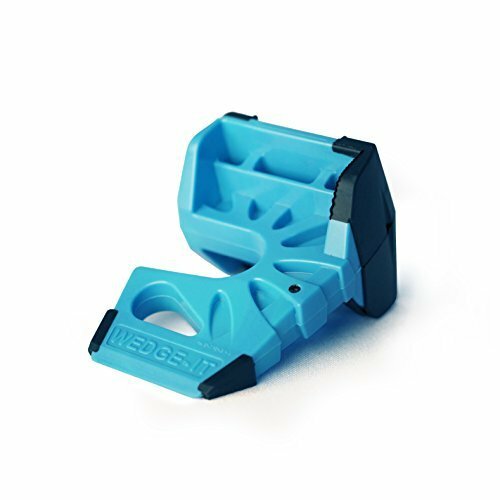 This Wedge-It The Ultimate Door Stop - Blue is the world's most versatile, portable, temporary, light weight door stop. It was designed by Emergency Service Personnel to hold doors open to a 90 degree angle from any of 3 different locations. Because of its convenience and ease of use, it has been adopted by other trades and professions. 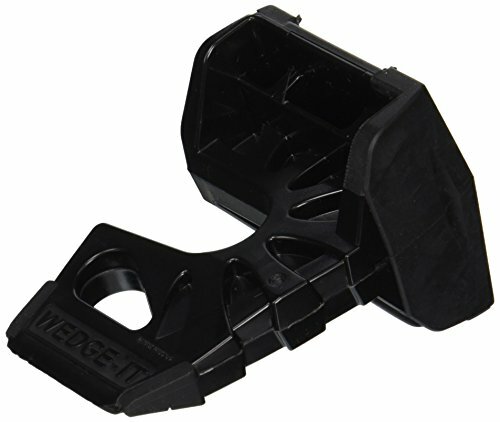 This Wedge-It The Ultimate Door Stop - Black is the worlds most versatile, portable, temporary, light weight door stop. It was designed by Emergency Service Personnel to hold doors open to a 90 degree angle from any of 3 different locations. Because of its convenience and ease of use, it has been adopted by other trades and professions. The door Balancer is a one of a kind and only cure for repairing out of plumb doors that close on their own without reframing the door frame. No more need for cumbersome and expensive door prop,door stop and door wedge. 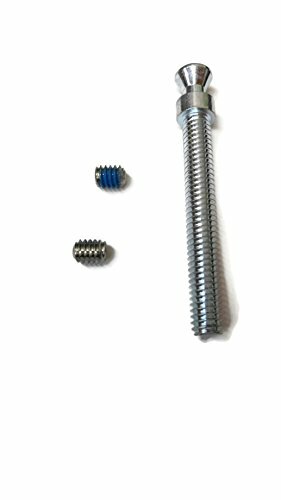 This is a specially designed, engineered and patented torsion spring that once installed on the door hinge pin, will allow the door to stay open in almost any position. It has just the right amount of tension and shaped to fit the door and the door frame. Takes less than 2 minutes to install. Tested to keep it's tension for over 1000 closings.1 Required per door. Severely out of plumb doors may require 2. Works great for commercial office doors, hotels, motels etc. Listing your home for sale? Propping your doors open could be a red flag for perspective buyers. 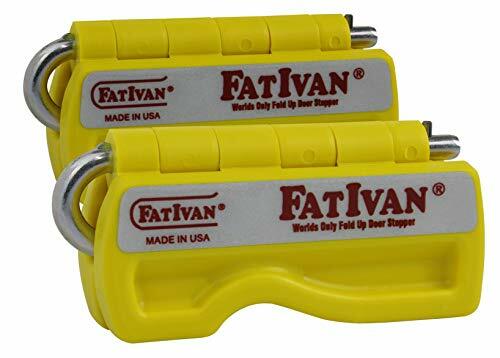 FatIvan's strong, durable construction, manufactured from engineered plastic and zinc plated steel is guaranteed to do the job. Safe, secure design that will work on any hinge. Folds up for pocket or purse. No need to bend-over, ever. No damage to door or jamb. Hook completely contained within the tool. Firefighters are tired of carrying wedges that rarely work or having bulky pieces of welded angle iron hanging out of their pockets. Firefighters are done having doors close behind them or getting their hose lines pinched under doors. 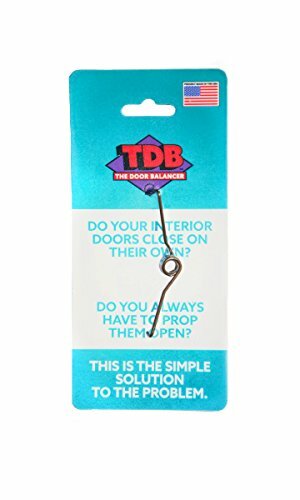 They want a door chock that will work on any door hinge and also fold up and 'disappear' in their pocket when not in use. FatIvan is a great tool to have for home use. Whether it's coming home from the store and needing the door held open for multiple trips in with groceries, or it's needing to get a ladder inside to change a light bulb, FatIvan will be there, magnetized to your door, ready for action. Simply open the door, unfold FatIvan, and hang FatIvan over the hinge to keep the door fully open. No more struggling to get the door open with your hands full. No more having the door slam on your pets as you go in and out of the door. FatIvan is secure, proving to be an 'extra hand' when you need it most. Trust FatIvan to keep your doors open safely and securely. When ready to use simply unfold FatIvan, open the door and slip FatIvan over any hinge; the top, the middle, the bottom, it doesn't matter. Just fully insert FatIvan over the hinge then let go and walk on through. Keep your FatIvan magnetized to any metal surface for easy storage with its embedded magnets. The magnets even allow you to keep a door open only partially by enabling you to magnetize FatIvan directly to the hinge thereby letting the door close just a little more. FatIvan is versatile, functional, durable and safe. Safety is in our DNA. Made in the USA. The original door and fire sprinkler wedge from LINE2design. This is an idea wedge to shut the flow of an active sprinkler head off. 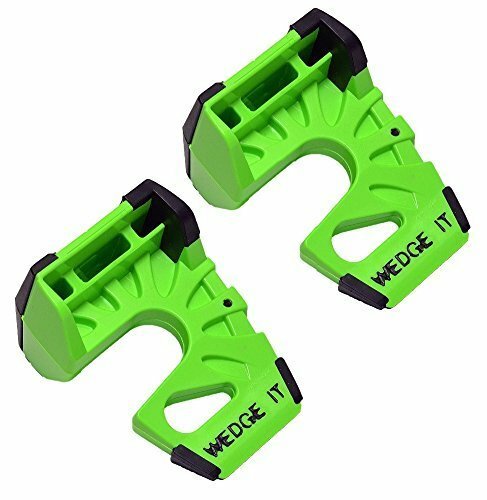 The unique design, with ridges on the wedges works great when you use two wedges together. 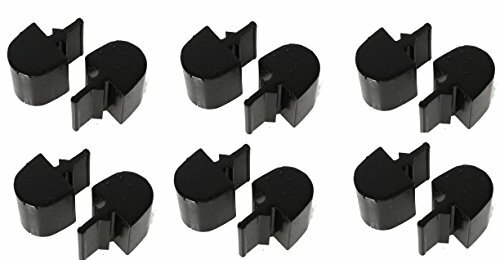 These also work on self closing doors, to hold doors open. It works better at the top of the door jamb. Depending on the door and the space on the bottom part of the door the gap my be to large for this wedge. 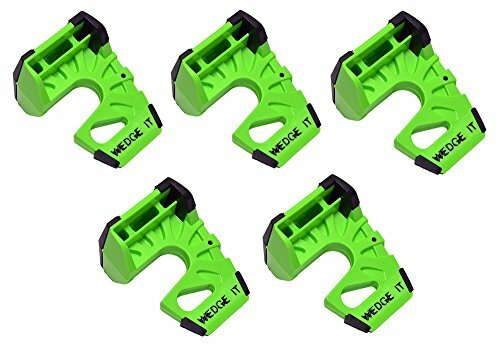 Total length of each door and sprinkler wedge is 3 inch and about 3/4 inch high. 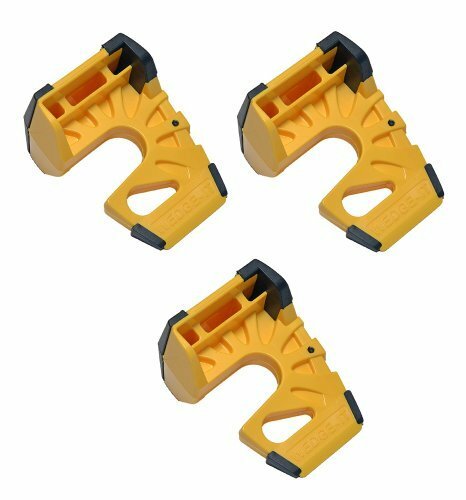 Ideal product to add to any firefighters pocket for an assortment of tool and options. The Duff's Heavy Duty is our best commercial doorstop. The handle is built to be indestructible, made of PVC; 1 diameter 28" long. 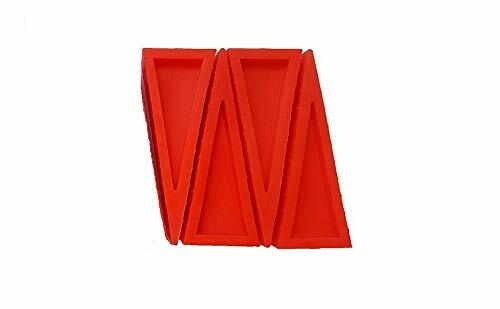 The red rubber base is 7" long, 1 3/4" wide, low side 1/8" to high side 2". 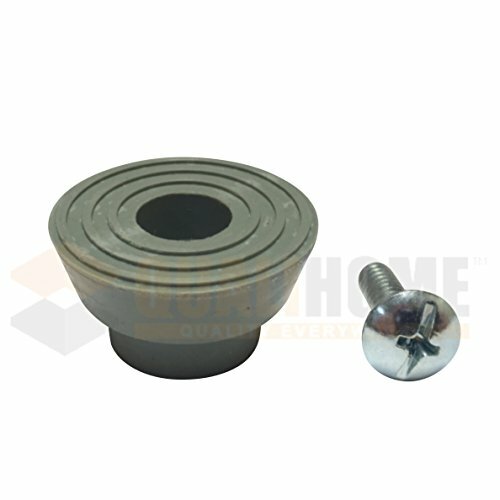 The handle is inserted into the base with 1 pan-head screw. The Heavy Duty doorstop is lightweight, durable, easy to use and not easily misplaced. The doorstop is balanced to stand up on its own and can be conveniently stored in the corner next to the door. This doorstop was built for heavy commercial building use. The handle should last forever if used as intended. 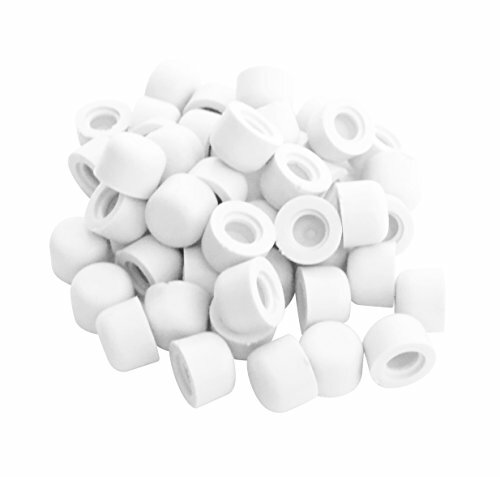 The base is replaceable and will last for 3 to 5 years minimum. Note: If the doorstop is used on ceramic, laminate or hardwood floors you will occasionally need to wipe the bottom of the doorstop with a damp cloth to maintain its effectiveness. Built for repetitive daily commercial use, the base last 3 times longer. Prevents injuries to fingers and hands caused by automatic door closers. Fit most doors with low thresholds. The Super door stop comes in a case size of 6. 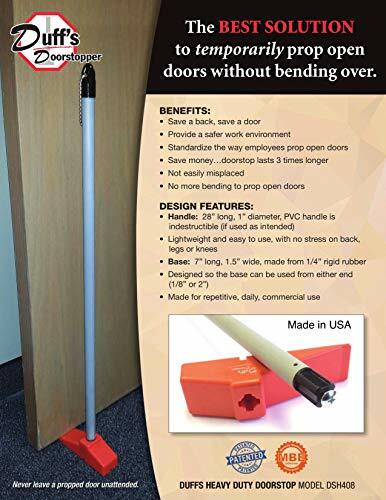 This door stop has a built in magnet that allows you to secure it to any metal surface, it holds the door without bending over, and the patented design and unique material combine to secure Doors to almost any surface. Rockwood SP1056 Cone Head Machine Screw 5/16-18 x 2-1/4 Used with Back to Back Mounting for Type 5HD with straight pull handles, for 1-3/4 inch Doors, Set Screw is included. 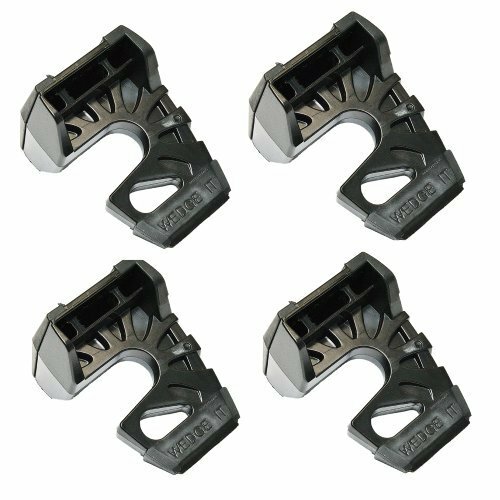 Heavy Duty (HD) mounting features hex drive for positive tightening and large overall size for superior strength. Tired of the breeze slamming your doors shut? 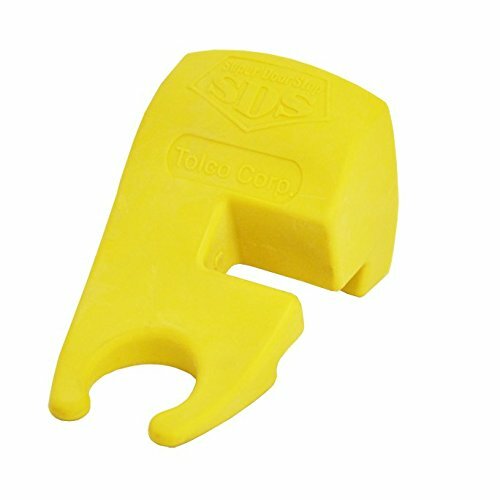 Juvale's sandbag door stopper is the perfect novelty item to keep your doors propped open. Crafted of polypropylene sand-filled linen fabric, these heavyweight doorstops weigh approximately 2.2 pounds to hold your door in place. It also features a jute handle enforced with a metal grommet for effortless lifting. Featuring an inspiring quote print, this door stopper's unique design adds a rustic yet modern touch to compliment the look of any home and is the ideal housewarming present for your friends and family. BEAUTIFULLY CRAFTED: Made of carefully stitched linen fabric and filled with polypropylene sand. Features metal grommet enforced jute handle for effortless lifting and shifting. HOLDS DOOR: Keeps your doors open to let fresh air in. No more getting startled by slamming doors. 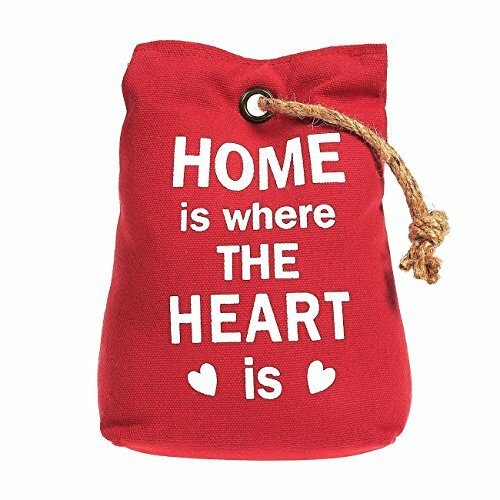 INSPIRING QUOTE: Reads HOME IS WHERE THE HEART IS on the front of door stop. COMPLIMENTS ANY HOME: Add a touch of rustic chic accent to your living space. DIMENSIONS: Measures 5 x 7 inches. Weighs approximately 2.2 pounds.